The writer's club and wine bar is an official press club; it is the preferred meeting point for local journalists, writers or other media associates. The atmosphere is laid back with comfortable interior which is an ideal spot for an interesting and engaging evening. There is a great collection of wine and tasty food at the writer's club. The UN Irish Pub offers an haven for the tourist and also an ideal chill spot for the locals. It serves regular food with a wide range of local and international beer and wine. The bar shows international football and NFL games which makes it packed on match days. The Roots Rock Reggae Bar features live band that provides quality entertainment from reggae music to rock and contemporary music. The bar serves affordable drinks and with its great music, the bar is always crowed with backpackers and some locals looking to enjoy a nice time out. John' s place offers a rooftop chill spot that provides an amazing place to enjoy drinks with friends as the day goes to an end. There is a pool table available with refreshing drinks to keep you relax and entertained for the rest of the evening. 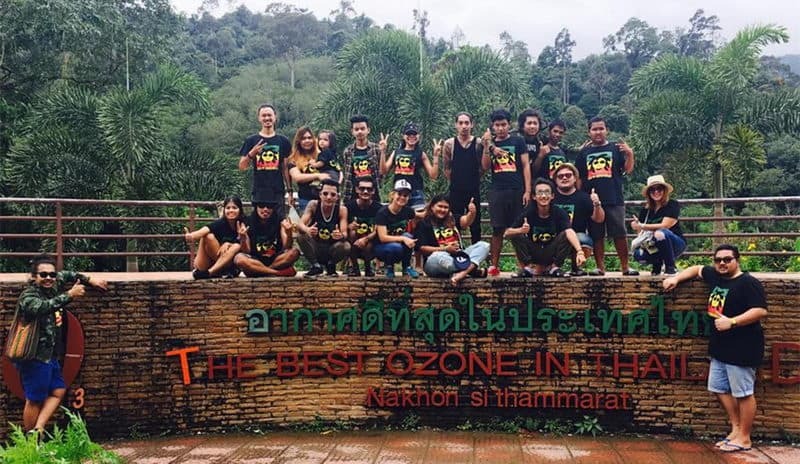 THC Rooftop Bar is very popular with backpackers and offers one of the most relaxed places in the city. 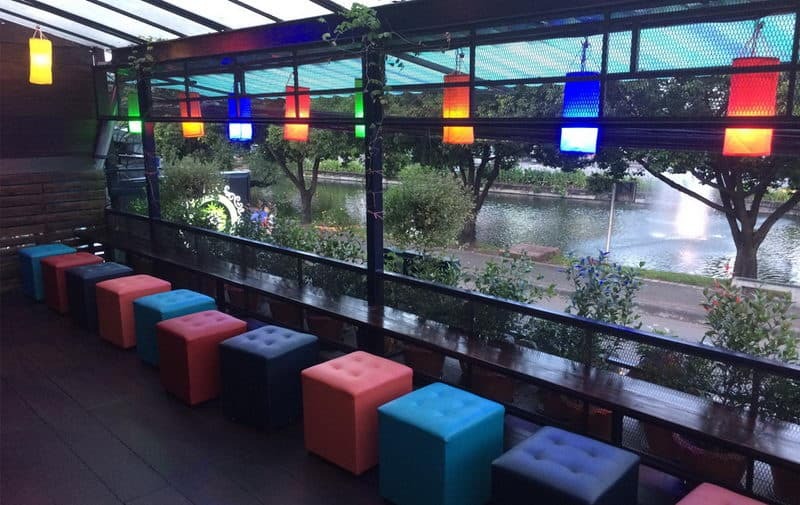 It is situated on the second floor with comfy cushions laid on the floor for you to enjoy their nice drinks. There is a DJ who takes care of the music entertainment with different tunes playing from reggae to hip hop. 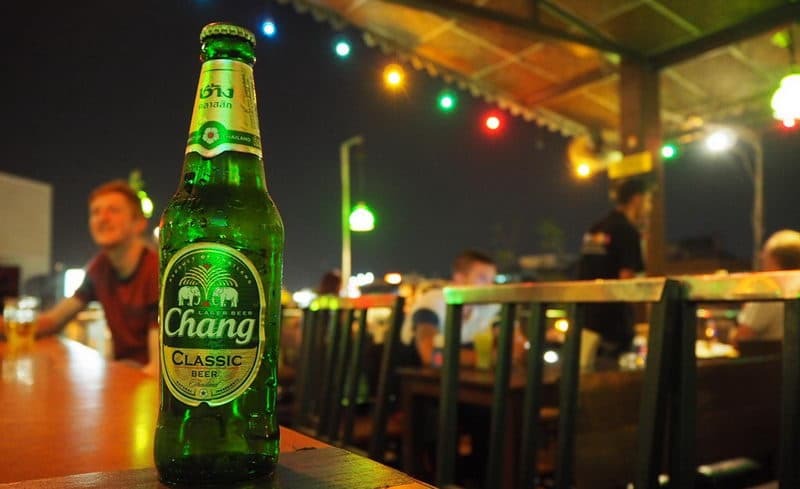 This modern rooftop bar provides an attractive nightlife scene for people in Chiang Mai and tourists alike. 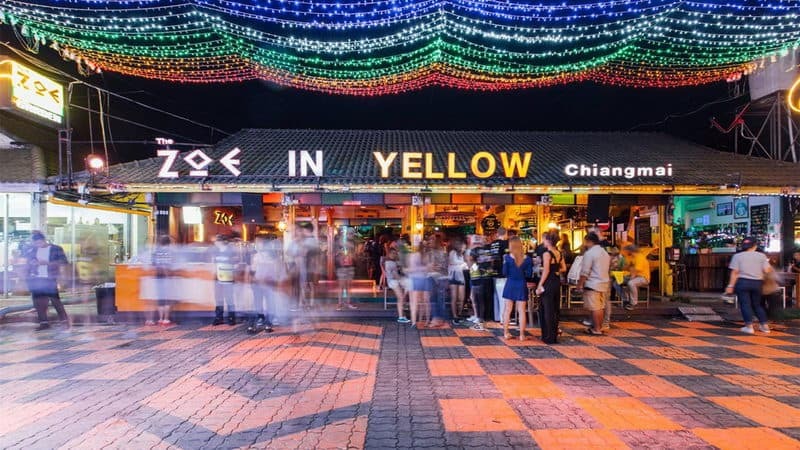 Over the years, Zoe in yellow has become one of the trendiest bar for young tourist and locals looking to get their groove on. The bar features a covered dancing area, bar and an outdoor extension. The place is packed during weekends with animated crowd shaking their body to popular chart music. The bar provides extensive amount of beverages from beers to cocktails and shots. There are food stalls around the area for those taking a time out from the party atmosphere. Chiang Mai Saloon features a Wild West design, with rustic wooden furniture, and serves tasty dishes with drinks of all kinds. It is one of the most trafficked bar in the city with both foreigners and locals trooping in to enjoy the comfort of the saloon. The Northgate Jazz Co-op features animated and rhythmic tunes that brings the place alive. 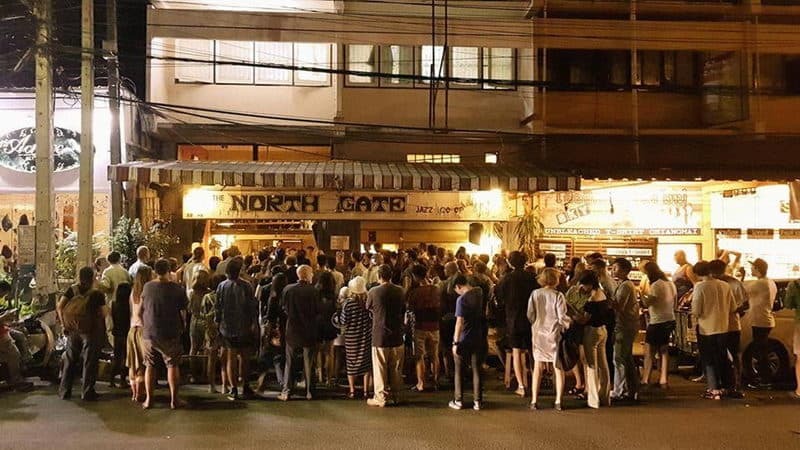 The bar is very popular among tourist and locals, and on busy weekends, guests often flood the streets. 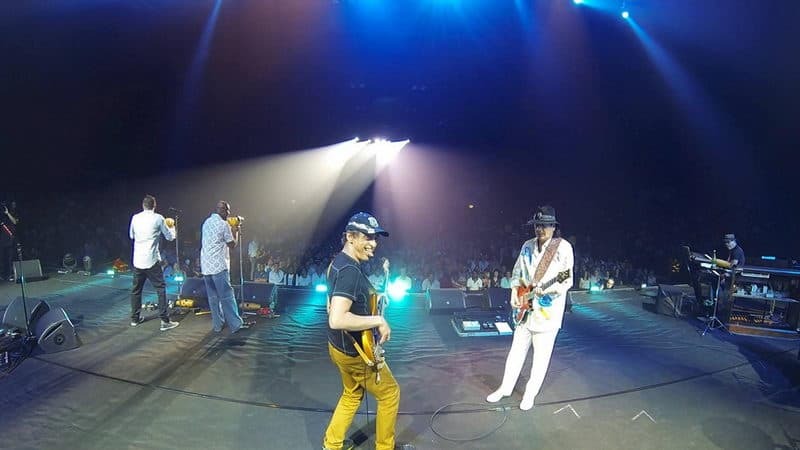 There is a live music show on Tuesdays where guests are free to join in the music. The drinks at Northgate are reasonably priced with very friendly staff. The lost hut is a small and enchanting bar made from bamboo. It offers lots of tasty cocktails and Thai dishes at very affordable prices. The hut provides a place for both tourists and locals to wind after a long day's work. The design is unique, and features warm, comfortable ambience that makes it distinct from other generic tourists' scene. 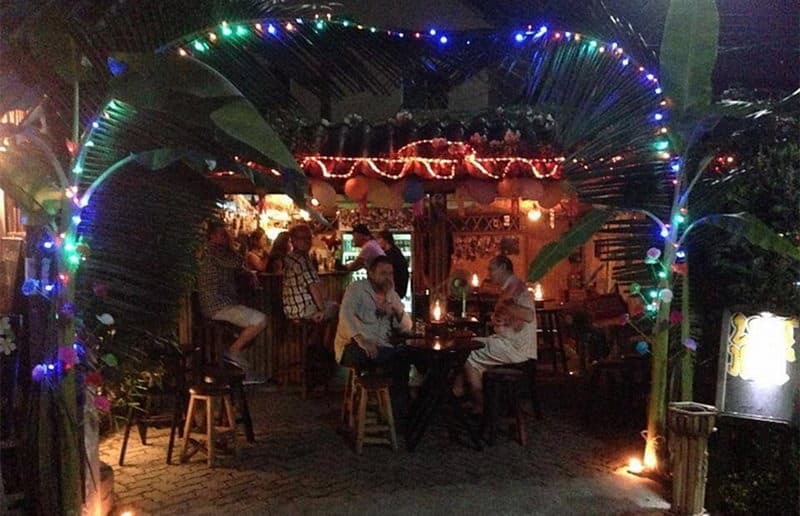 Freedom bar is a reggae bar popular for its relaxed atmosphere. There are a variety of drinks available from whiskey to beers and local cocktails for you to pick from. There is an extension of the bar designed with colorful paintings which complement the vibe of the bar. It is a popular place for tourist and locals looking to get away from the hassles of the day.